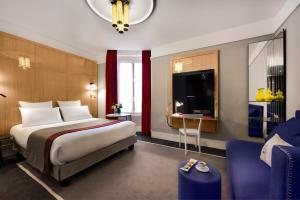 Hôtel L’Echiquier Opéra Paris – MGallery Collection by Sofitel offers luxury accommodation in the heart of Paris, 270 metres from Bonne Nouvelle Metro Station. You can relax with a drink from the on-site bar. 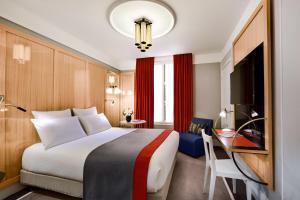 Hôtel L’Echiquier Opéra Paris – MGallery Collection by Sofitel features spacious guest rooms equipped with a private bathroom, satellite TV and tea and coffee making facilities. Guests have access to free Wi-Fi. 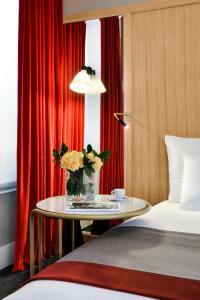 The hotel offers you the opportunity to enjoy the Paris cultural scene with its close proximity to some of the main tourist attractions, such as Opéra Garnier, Montmartre, Georges Pompidou Centre, Eiffel Tower and Louvre Museum. This 20-m2 room offers views of the street or the courtyard. 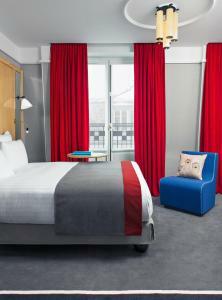 It features free Wi-Fi access, a flat-screen TV, a safe and a minibar with 2 free, small bottles of water. Bathrobes and slippers are provided. It also includes tea/coffee facilities and a bathroom with rainshower and Clarins free toiletries. Please specify your bedding preference in the special requests box when reserving. No extra bed can be added on this room. This 18-m2 room offers views of the street or the courtyard. 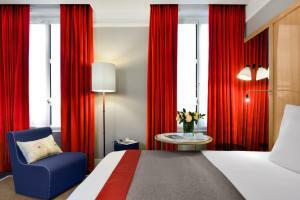 It features free Wi-Fi access, a flat-screen TV, a safe and a minibar with 2 free, small bottles of water. Bathrobes and slippers are provided. It also includes tea/coffee facilities and a bathroom with rainshower and Clarins free toiletries. Please specify your bedding preference in the special requests box when reserving. No extra bed can be added on this room. Rate: € 156.67 ... € 560.00; select dates below to get current rates. This 26-m2 suite offers views of the courtyard or the street. It includes free Internet access, a flat-screen TV, a minibar with 2 small bottles of water and 5 soft drinks. 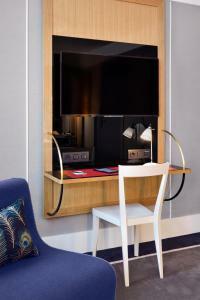 It also features tea/coffee facilities, a Illy coffee machine and a Bose docking station. Bathrobes and slippers are provided. 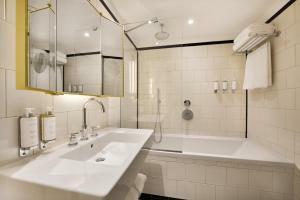 The bathroom is fitted with a bathtub or a rain shower. No extra bed can be added on this room. This 22-m2 room offers views of the street or the courtyard. 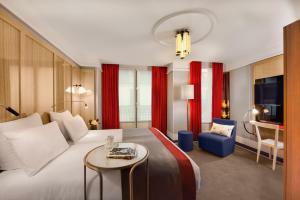 It features free Wi-Fi access, a flat-screen TV, a safe and a minibar with 2 free, small bottles of water. Bathrobes and slippers are provided. 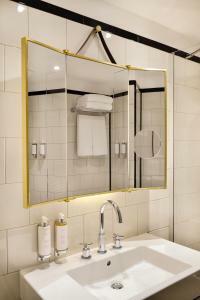 It also includes tea/coffee facilities with a Illy coffee machine and the bathroom is fitted with a rain shower and includes Clarins free toiletries. The toilet is separated. Please specify your bedding preference in the special requests box when reserving. No extra bed can be added on this room. This 22-m2 room offers views of the street or the courtyard. 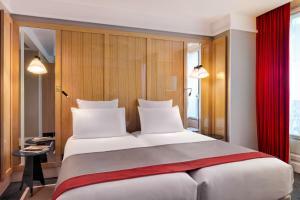 It features free Wi-Fi access, a flat-screen TV, a safe and a minibar with 2 free, small bottles of water. Bathrobes and slippers are provided. 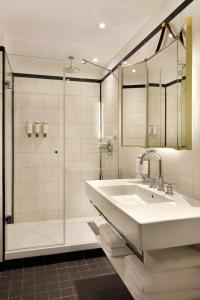 It also includes tea/coffee facilities with Illy coffee machine and the bathroom is fitted with a rain shower. The toilet is separated. Please specify your bedding preference in the special requests box when reserving. No extra bed can be added on this room. This 20-m2 room offers views of the street or the courtyard. 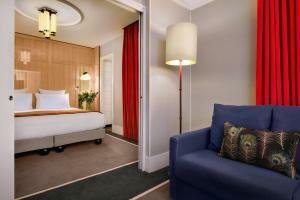 It features free Wi-Fi access, a flat-screen TV, a safe and a minibar with 2 free, small bottles of water. Bathrobes and slippers are provided. It also includes tea/coffee facilities and a bathroom with rainshower as well as Clarins free toiletries. Please specify your bedding preference in the special requests box when reserving. No extra bed can be added on this room. 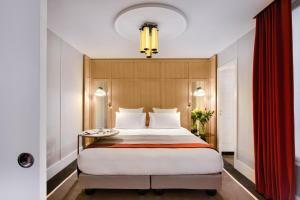 These two adjacent rooms are next to each other and features a minibar, air conditioning, slippers and bathrobes. No extra bed can be added on this room. This suite features 2 individual bathrooms and a living room. It is equipped with an Illy Coffee Machine, soundproofing and Bose SoundDock. Guests have access to a minibar in the room with 5 complimentary soft drinks.